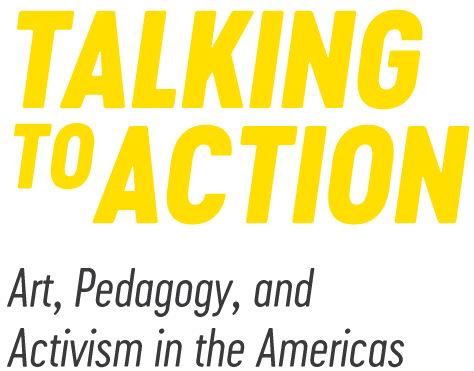 Talking to Action investigates contemporary, community based social art practices in the United States and throughout Latin America while attempting to build a direct dialogue with artists and researchers across the hemisphere to discuss shared concerns.  Talking to Action focuses on the collaborative, dialogically-based form of art making that is most often referred to as “social practice” with roots in public practice, community-based, participatory, relational and socially-engaged art. Consequently, the artists in Talking to Action explore a range of trans-disciplinary practices, blurring the lines between object making, political and environmental activism, community organizing, and performance. The projects interrogate issues including migration and memory, critical mapping and cartographic practices, environmental issues and policies, gender rights and legislation, indigenous culture, racial violence and policing tactics and are often produced in collaboration with particular communities in rural or urban environments in politically charged contexts. The title, Talking to Action, underscores the discursive nature of these artists’ practices and their efforts to instigate greater public attention, community participation and political action towards such issues. The show will also travel to Arizona State University, with each additional venue including new artists relevant to their sites and spaces. 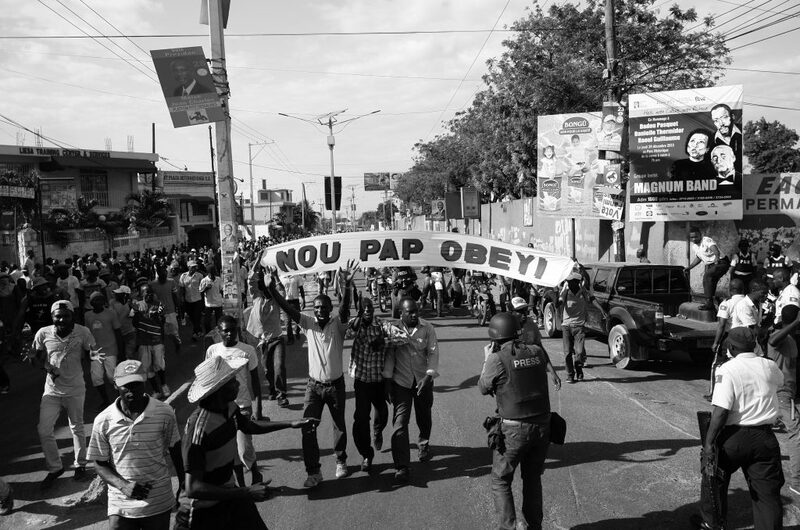 Image: Frente 3 de Fevereiro, Nou Pap Obeyi [No Vamos Obedecer / We Will Not Obey] action, 2015. Photo: Daniel Lima. Courtesy of the artists.